Explore, Be happy and find relaxation and memories with your pool! Complimentary Consultations. Our pool design professionals work with you.​ Every property is unique in its layout and features. It's important to discover how you intend to utilize your pool. Is it for everyday needs? entertaining? or the to increase the resale value of your home? We offer you the creative assistance of our expert designers. We come to your home to meet with you. We gain the knowledge and importance of what matters you. We take detailed notes and of your pool and backyard area. We go back to our office and create a rendering of our notes and your backyard area. We transform our 2D design into a 3D interactive design and pool presentation. Affordability. Every budget is not created equal. We are here to work with you, and with your budget. With collaboration comes success. We work diligently with each of our clients to successfully create the finest and most appropriate pool remodel, pool resurfacing, water feature design, or custom pool design, to fit individual needs and budgets. Residential and Commercial Pools & Spas. We offer home and business pool renovations, build outs, pool deck resurfacing, maintenance, design, hot tub/spa designs and build outs, pool water features, sanitation systems, lighting and more. Really, when it comes to creating and maintaining that big water hole in the ground a.k.a "the pool", we provide all the necessary services for success. Remodeling your pool is a great way to update the look and feel of your backyard space. A pool can also increase the value of you property. Arizona is one of the states that this holds true for. 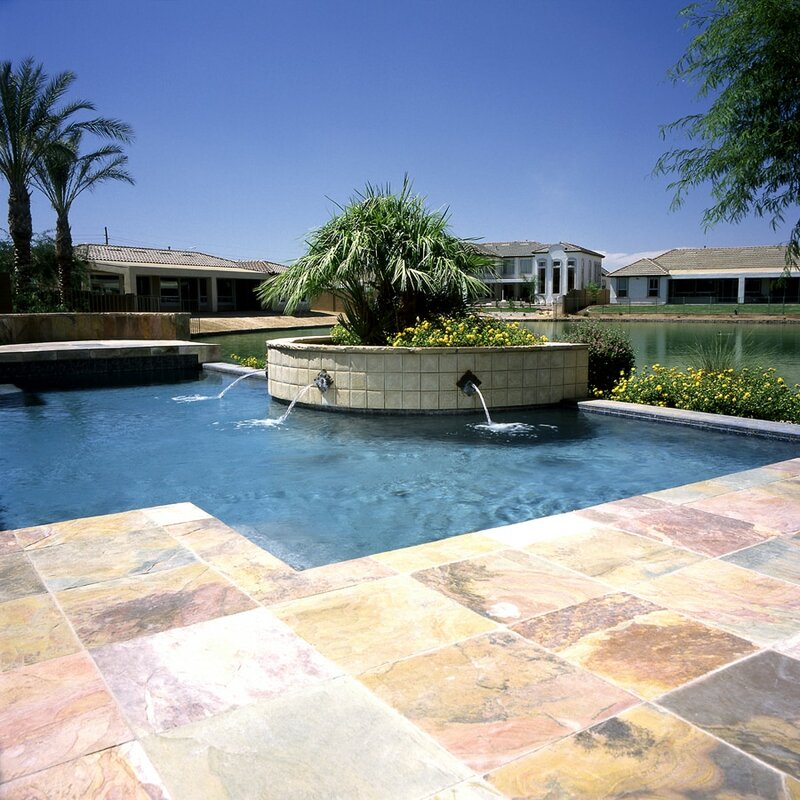 We are experts in helping you to create your perfect pool or pool remodel project. Phoenix Pool Remodel offers service to all areas of the Valley including Phoenix, Scottsdale, Cave Creek, Paradise Valley, Mesa, Tempe, Chandler, Gilbert, Ahwatukee, and Queen Creek. Unparalleled Customer Service. We can build award winning pools all day and offer them to you at a price to fit your needs. Yet if we aren't doing that with a positive attitude, clear communication and an understanding ear, then we cannot call ourselves the best at what we do. Customer Service is a pertinent factor that we find extremely important, and it is a piece of what sets us apart. We offer a variety of pool construction, design and redesign services for residential pools. Every service is performed with integrity and innovation, from start to finish. We deliver a committed and honest service with complete and utmost quality and transparency. You will understand each step of the process as we remodel your pool or start to build your pool from scratch. 1.Complete Pool Construction.​​​*Design & Construction. Customized and brilliant pool designs. Our computer technology lets us create your perfect plan. Once approved by you, we apply for necessary permits. Upon permit approval we will create a backyard footprint of your pool design for another approval by you for continued construction. Water Features. *If water features are part of your design these will be installed. 3. Pool Repairs and Service. We work with experienced, professional pool technicians that can be sent out to repair certain components of your pool, install new equipment or service your pool weekly. We offer a full service pool experience, from build out to pool maintenance. 5. Water Features. Pool or hot tub water features. 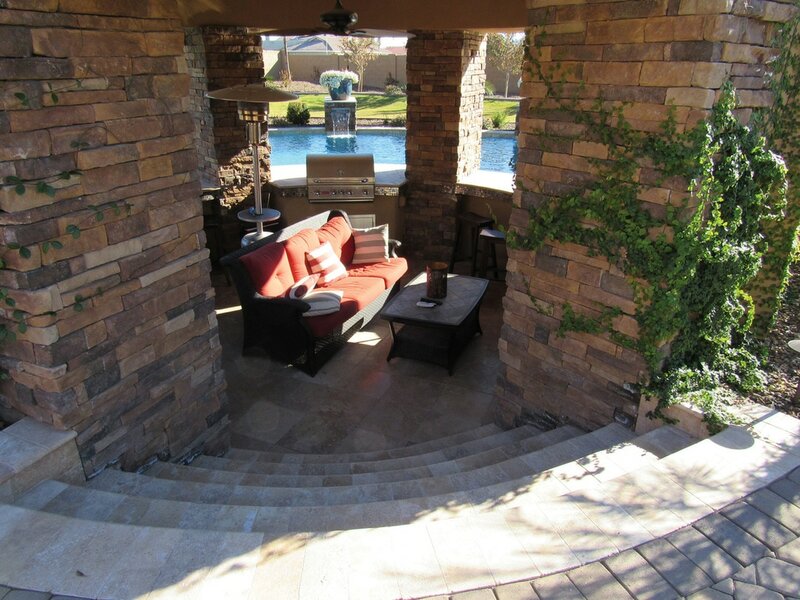 Whether you seek customized rock waterfall feature, or another alternative water feature, we've got you covered. 6. Pool Decking. We can create the pool deck for your needs. Concrete decking, paver decking, and more. There are a variety of pool deck surfaces to choose from. Update the look of your pool and enjoy it...after all we do live in Phoenix, AZ, which allows us utilize our pools and hot tubs throughout the majority of the year. Let us utilize your home structure and landscape to help create a beautiful design, relaxing retreat and a desert oasis in your backyard. 7. Warranties. We stand behind our work and offer warranties on our products and services to you. This is important and valuable and no matter what company you choose, they should offer the same. Our team of Pool Remodel experts want to offer the best pool remedies and water creations possible. We take pride in our work and stand behind it with a smile. Let's see what we can do for you and your pool! ​Dive into your complimentary estimate today!